Amherst depicts the breathtaking evolution of a small farming community into a major economic, educational, and medical hub of western New York. 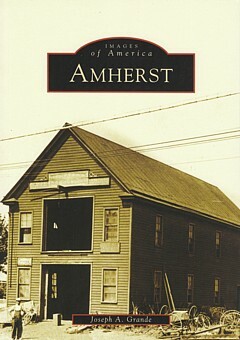 The book reveals how Amherst's rich soils, rapid falls, and near-Buffalo location led to the community's great progress and growth. In a single century, the population rose from just over 4,000 in 1900 to 115,000 in 2000. Today, the town includes the thousand-acre campus of the new State University of New York at Buffalo and the Amherst Museum, visited by more than fifty thousand people each year. Joseph A. Grande hand-picked the images from the vast collections of the Amherst Museum, of which he is a trustee.